Michigan is going through an urban transformation that’s making the region more walkable—and we are bringing together the people making it happen. Join LOCUS, the Michigan Municipal League, and the Michigan Economic Development Corporation on May 2, 10:00 – 11:30 a.m. EDT to learn more about the real estate market, the Redevelopment Ready Communities® (RRC), and opportunities for creating walkable, sustainable development in six Michigan communities. 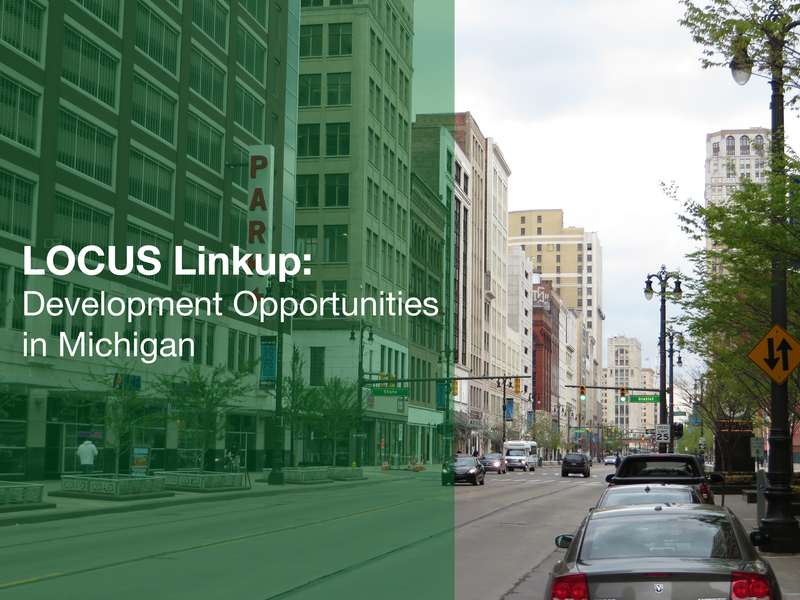 The LOCUS LinkUp: Development Opportunities in Detroit will feature presentations from local officials, including the cities of Kalamazoo, Southfield, Ferndale, and others. Each city will showcase new opportunities for development that foster a range of housing opportunities in mixed-use development projects, preserves open space, and expands walking and other transportation options. This event, which is talking place during the ULI Spring Meeting, will be a great opportunity to learn about the vision for future development in Michigan. There will also be opportunities to network with the top real estate CEOs and executives in the region and share ideas for mutually beneficial smart growth projects. Space is limited, so reserve your spot today.